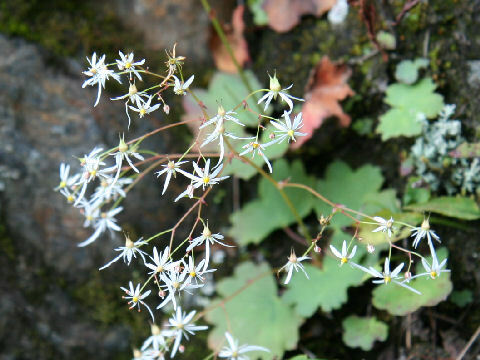 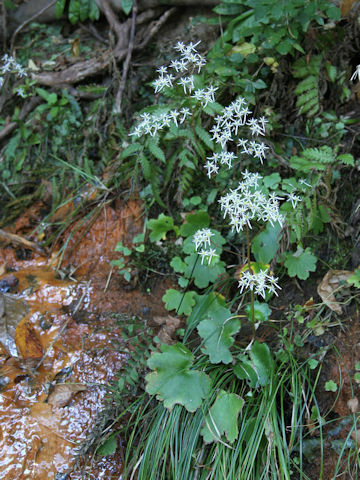 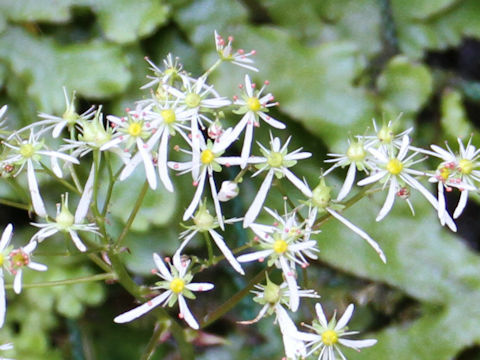 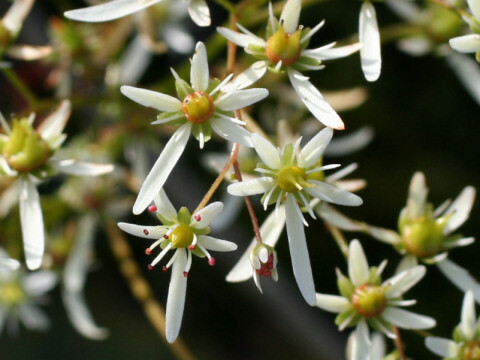 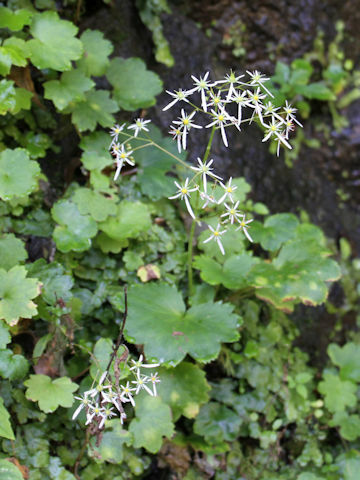 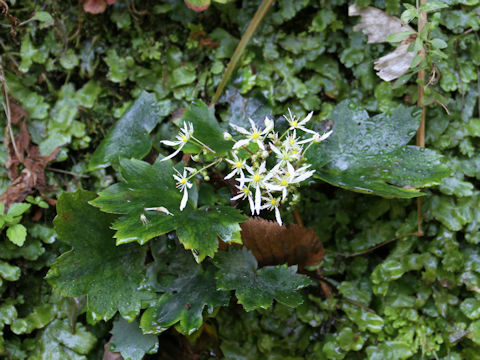 "Daimonji-so" (Saxifraga fortunei var. 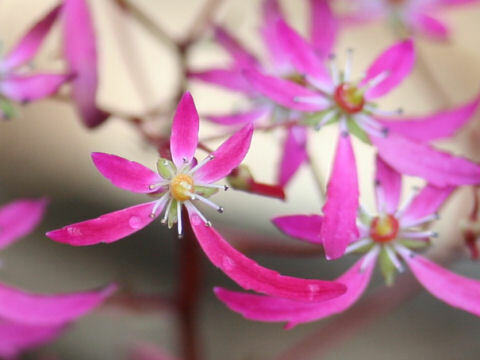 incisolobata) belongs to the Saxifragaceae (the Saxifrage family). 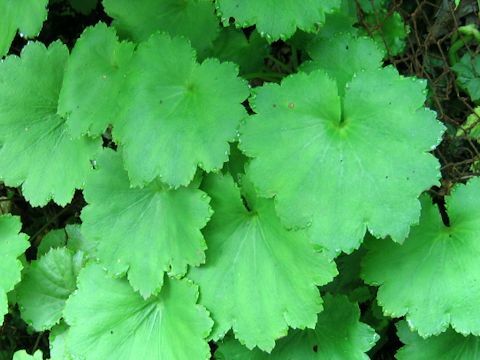 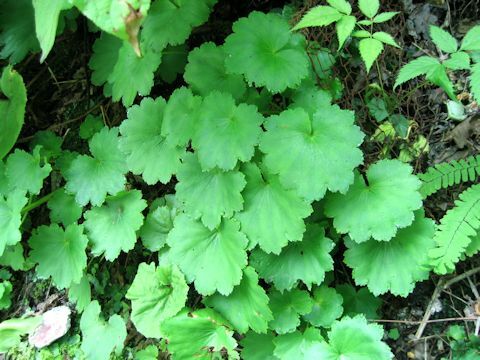 It is a perennial herb that is distributed widely to Japan and north eastern Asia. 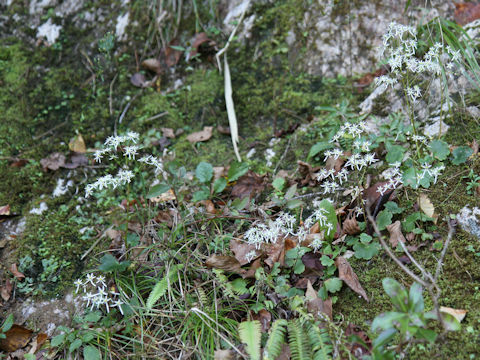 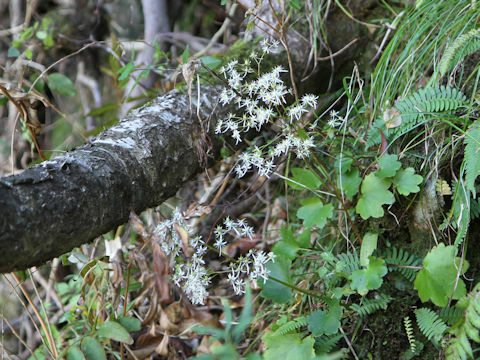 This herb grows in montane to alpine wet rocks and can reach 30-40 cm in height. 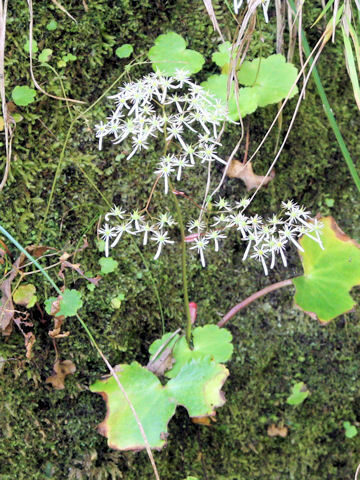 The basal leaves are large reniform-round with long petioles. 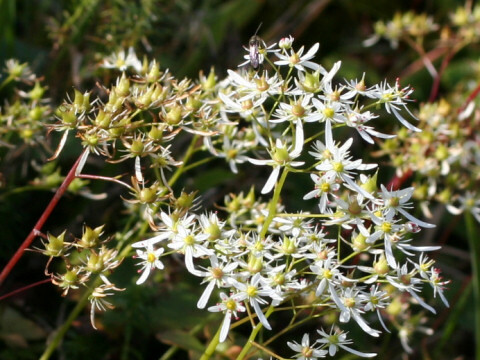 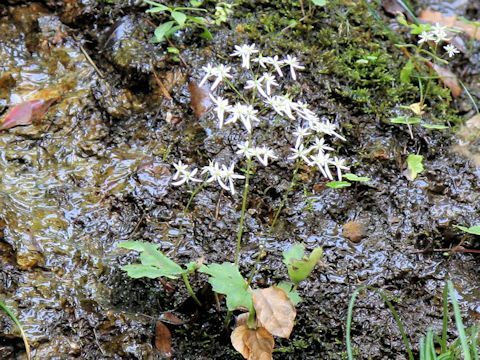 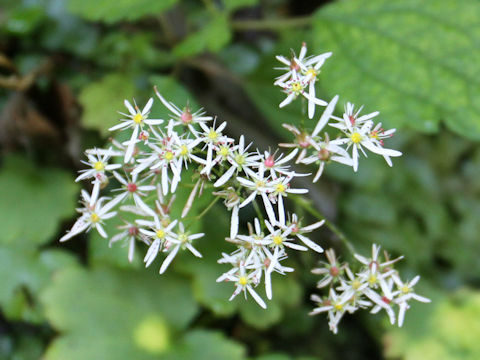 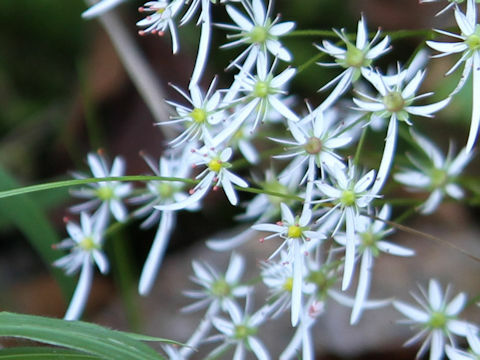 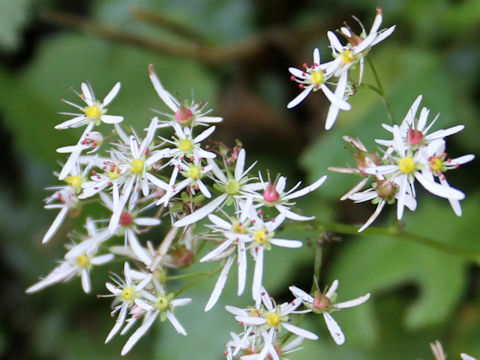 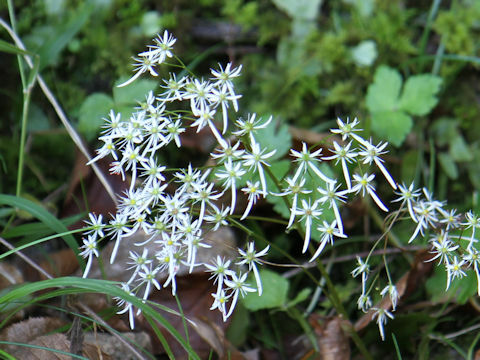 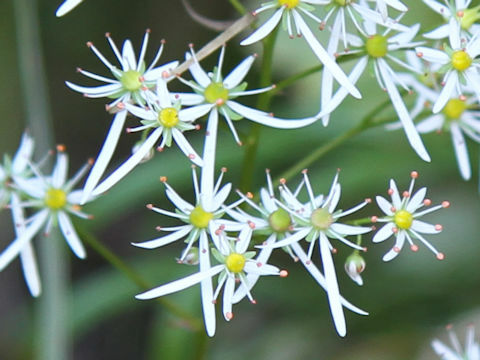 The stellate white flowers bloom on the long flowering stalks from July to August. 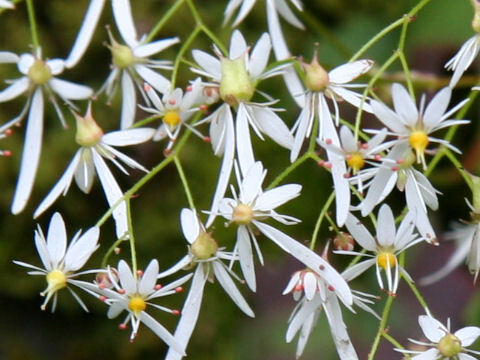 The many red-flowered hybrids have been raised. 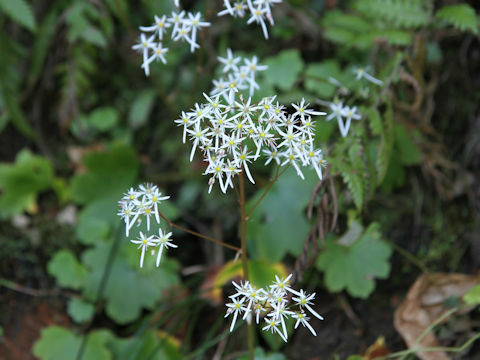 The sixth photo is a cultivar "Hicho".